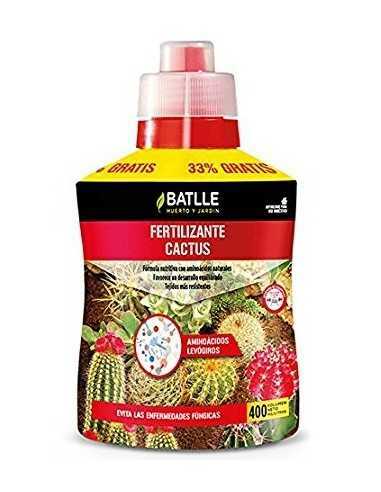 Fertilizante líquido para catos e suculentas, 250 ml. A nutritive complex with natural amino acids, chelated micronutrients and magnesium oxide, promoting a balanced development and a swelling of the tissues, avoiding the appearance of many fungal diseases resulting from poor nutrition and making them resistant to undesired collar rotting. EC fertilizer. 4-5-7 NPK fertilizer solution with micronutrients, natural amino acids and magnesium. 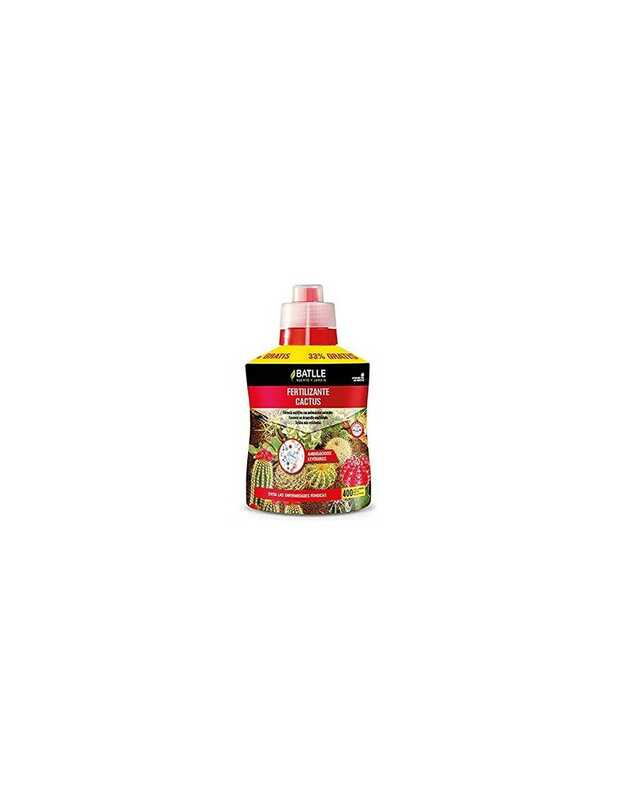 Apply as a root fertilizer, diluting 5 ml of fertilizer per liter of water.